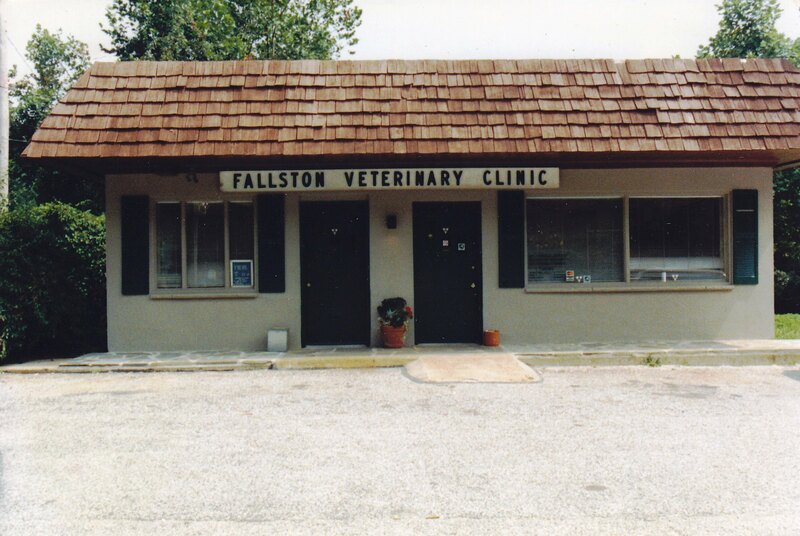 Thirty-six years ago today, the Veterinarian and I took a big leap of faith and bought the Fallston Veterinary Clinic. We owned a car and a motorcycle, a sofa, a bed, wedding china and crystal, and a lot of books. We didn’t know anything about Baltimore and even less about Harford County, where the practice was located. The purchase price of $110,000, for the practice alone, was surreal. 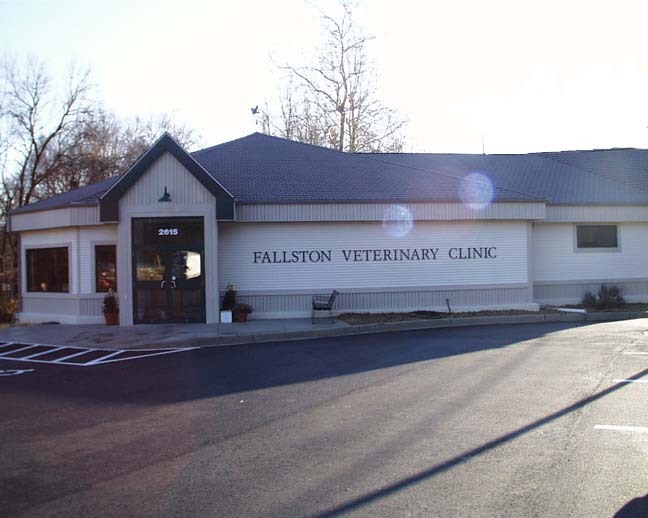 At the time, it was an established practice in a ranch-style house that had been converted to a veterinary hospital. We moved into the former house’s finished basement. (That’s right. We lived in a basement for two years. Some of you can vouch for that.) People knocked on the front door at all hours of the day and night, but we were committed to making it a success. Quickly, we realized that we were going to be a success. He brought new skills, charm, and compassion to a practice that had been struggling. I re-organized the business plan and the facility, because, in those days, the spouses of veterinarians, out of economic necessity, took an active role in making their spouse’s practices successful. We all had our own interests, but it was something that you did together for your family. In those days, veterinary medicine was no 9-5 job. It was considered an all-day, every day responsibility for conscientious owners. Within months, it was apparent that the building wasn’t suitable. When we couldn’t negotiate a deal to buy and extensively remodel it, we leased a smaller building down the road. With the help of my parents and friends, we gutted the interior, down to the cinder block walls, which was the easy part. 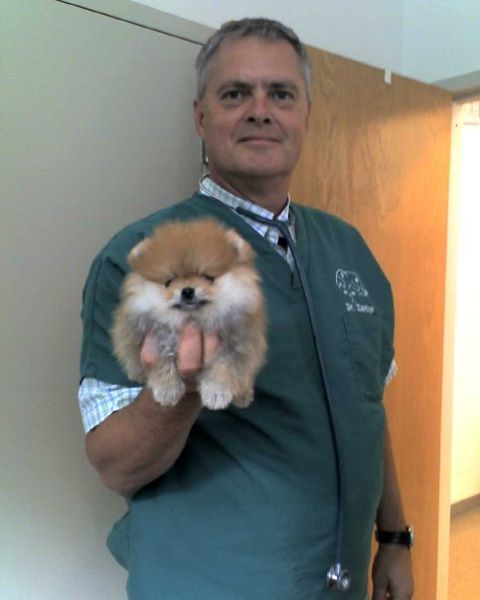 During the day, the Veterinarian continued to work in the old building, where we were still paying rent. At night and on weekends, we worked on the interior of the new building, where we were also paying rent. We reframed the interior, hung and finished drywall, painted and wallpapered, hung a suspended ceiling upstairs and downstairs, and built two cinder block runs in the kennel. It took over six months of non-stop work. Only the wiring, plumbing, flooring, and phones were installed by professionals. As the county grew, our caseload expanded, and we hired a second doctor and installed computerized records. As the Veterinarian established himself as an Avian specialist, it grew even more, and the little building couldn’t handle the third doctor that we hired. Sure enough, in 1999, on the twentieth anniversary of our big leap, I asked him again, “Can we go now?” Instead, in 2000, we really went for broke and built a 6,000 square foot hospital on the same property. When the little building was torn down, we saved a piece of lumber from its framing that had been signed and dated by us and by my parents. It was re-dated and incorporated into the current structure. The new building was the fulfillment of our life’s dream and work. In 2011, with the Veterinarian’s unexpected death and a series of unfortunate events, the dream died for me. I have new dreams and new projects. As always, I am moving forward and take great memories and stories with me. In about two months, it will no longer be “ours” (the Daughter’s and mine). The practice will be in the good hands of people who share some of those memories, so I am content. 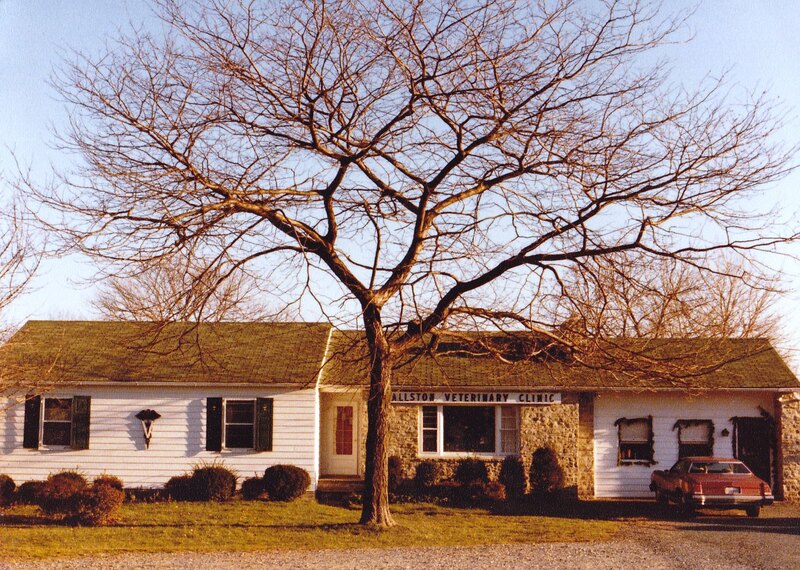 Many wonderful people and a lot of delightful pets have passed through the doors of all three buildings, and some of our current clients were on the books when we arrived in 1979. 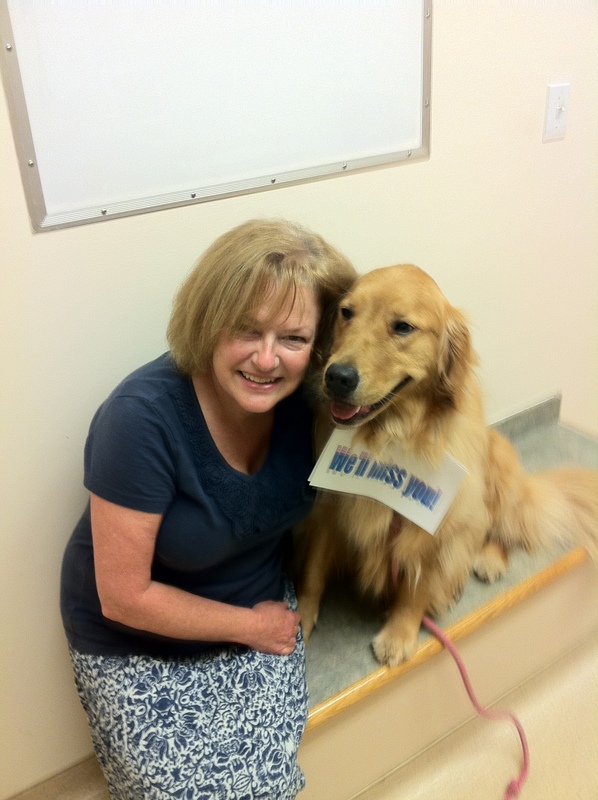 We’ve had employees who went on to veterinary school or to start their own practices. We’ve had employees who’ve worked for us for 30 years. I am grateful to everyone who put their trust in us and helped to fulfill our family’s dream of caring for your family members and for animals in need, so who am I to complain? Life is still good (mostly). Soli Deo Gloria! Categories: Now & Then, Uncategorized | Tags: veterinary medicine | Permalink. I am so glad to read that you have new dreams and new plans. Good for you “Maggie Lee”! That’s the thing about dreams…they never turn out exactly how we thought they would…Here’s hoping your dreams will be more terrific than you ever imagined.